Earn free recharge with Grappr which is a one stop solution for your mobile recharge worries. It makes easier for you to earn free talktime by completing certain tasks like app download or simply referring app to your friends! A Much Stylish and Easy to use app. 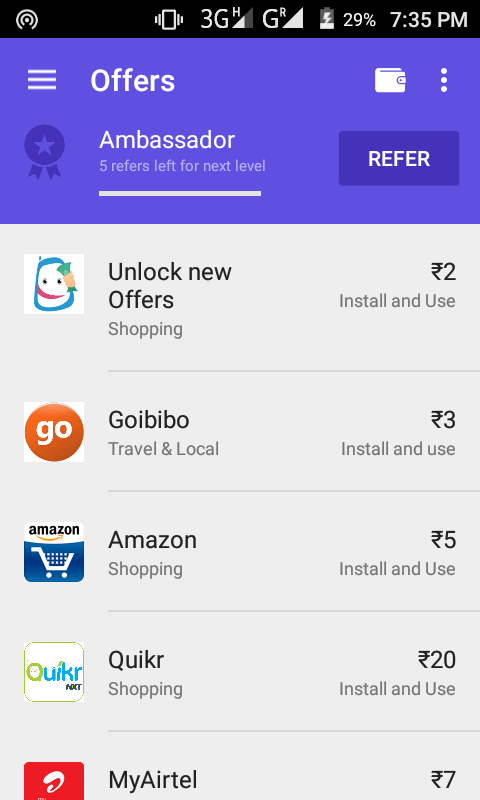 Get Free Rs.5 By Just downloading the app and Using Our Referral Code. 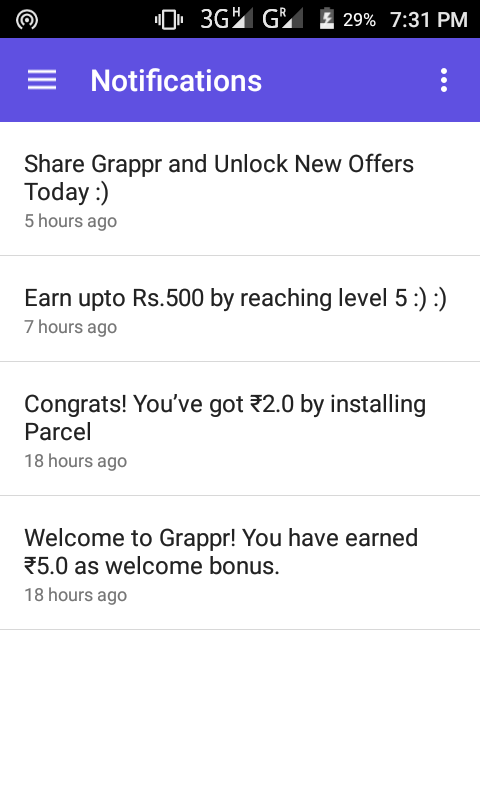 The Best thing of this app is that it pays you instantly if you install any applications within their Offer. 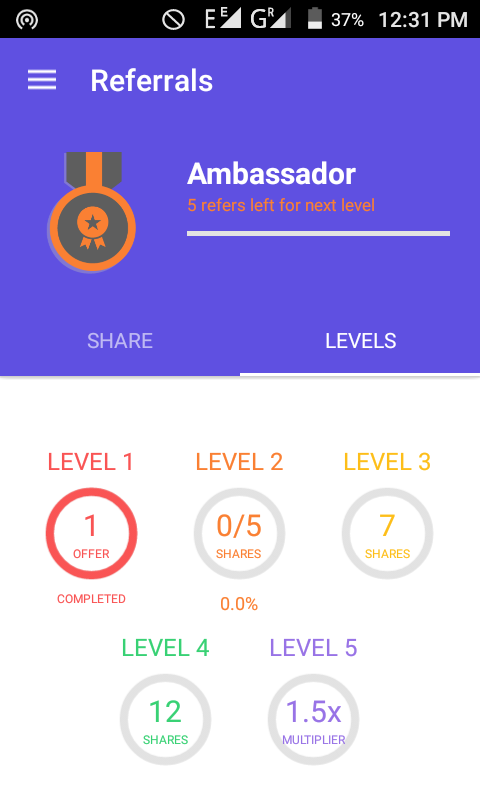 This App Pays a Lot If You Referral a Lot Of Your Friends and Completes Level 1,2,3,4,5 Then You will earn without doing anything. When your referred User Refer his Friend he will Get Rs.7.5 and You will also Get Rs.4.5 Free Per His Referrals. And Many More Exciting Offers . Have a Look. 2. After downloading install it and open. 4. This app will then verify your mobile number. 5. Then complete any of the offer to get your referral code. 6. Then you will get your refer code. Share it to your friends and Earn. * You can recharge with the earned amount in any number. * After reaching 5th level you will get 11.5rs per refer and 10% of your referee’s earning. 1. Get The App .Apk and Copy it to your PC. 2. Install it in Youwave. 3. 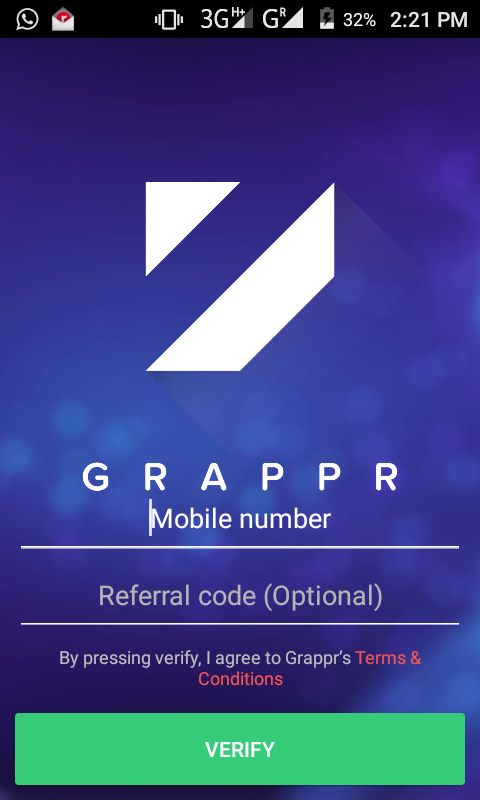 Open Grappr and Enter Mobile Number and Your Referral Code. 4. 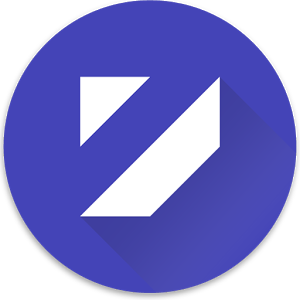 Verify mobile Number with the OTP . 5. Get Rs.5 Credited In Both Account. 6. Reset Youwave and Do the Process again. For Mobile Users : Use android id changer and donkey guard to loot it. Comment below if you have any problem. Keep Visiting ! !